Randall Garrison is refusing to heeda call from 200 well-known musicians, academics, trade unionists and NDP members to withdraw from the Canada-Israel Interparliamentary Group (CIIG). To justify his pro-Israel campaigning the Victoria MP has cited that country’s relatively gay friendly policies even as he promotes a bastion of Canadian homophobia. Garrison is vice-chair of a group that promotes “greater friendship” and “cooperation” between the Canadian and Israeli parliaments. As I detailed here, CIIG has organized events with other pro-Israel lobby organizations and the co-chairs of its Israeli counterpart — the Israel-Canada Inter-Parliamentary Friendship Group — are stridently anti-Palestinian. Garrison’s ties to anti-Palestinian lobbying groups goes beyond his role as vice-chair of CIIG.In May Garrison, Liberal MP Marco Mendicino and Conservative MP David Sweet co-sponsored an event with the staunchly anti-Palestinian Friends of Simon Wiesenthal Center (FSWC). Israel’s Ambassador Nimrod Barkanspoke at the event on Parliament Hill. In a private discussion with a Palestinian solidarity campaigner recounted to me Garrison pointed to Israel’s relatively LGBTQ-friendly policies as a reason for participating in CIIG and supporting that country more generally (he refused my request for an interview regarding the open letter). But that can’t be the full story because Garrison also promotes the Canadian Forces,which has long been a bastion of homophobia. Representing the Esquimalt naval base in Victoria, “Garrison is a passionate advocate for the Canadian military”, according to the Canadian Defence Review. The NDP defence criticheld his 2015 election night party and other events at the Esquimalt Legion. Part of the Canadian NATO Parliamentary Association and Vice-Chair of the Standing Committee on National Defence, Garrisoncriticized the Liberals’ 2017 announcement that they would increase military spending by 70 per cent over the next decade because more money wasn’t given immediately. Garrison bemoaned that “all we have is promises for future [military spending] increases” and in another interview said “the money you’re proposing will not keep pace with the rate of inflation.”A proponent of Canada leading a NATO battle group to Latvia, Garrison also criticized the Liberals for failing to immediately follow its defence policy review’s recommendation to upgrade a multi-billion dollar early-warning radar system used by the North American Aerospace Defense Command (NORAD), which is a military alliance that has drawn Canadian personnel into supporting numerous US wars. As Garrison surely knows, the CF has long been a bastion of homophobia. The military played a big part in a late 1960s research initiative to develop a “fruit machine” that would detect queers who would then be fired. Until 1992 members suspected of being gay were systematically purged from the CF.An impending hearing before the Federal Court prompted the government to ban discrimination on the basis of sexual orientation in the CF, but the military leadership resisted until the end. In response to the changes, Chief of Defense Staff John de Chastelain said the policy would not prevent the military from refusing to tolerate “sexual misconduct which can be demonstrated to have a disruptive effect on operational effectiveness.” While tolerance has grown, queers still face substantial stigma in the CF. Garrison’s promotion of the Canadian military and Israel should be understood as two sides of one coin. An under-discussed explanation for Canada-Israel ties is militarists’ affinity for that country. They are impressed by the large political, cultural and economic role Israel’s military plays in the country’s affairs. In recent years Canada-Israel military ties have grown. During a speech at a Toronto synagogue in May Canada’s ambassador to Israel, Deborah Lyons,said she sees Canadian generals in Tel Aviv on a regular basis.At the same time there has been increased ties between arms manufacturers in the two countries. 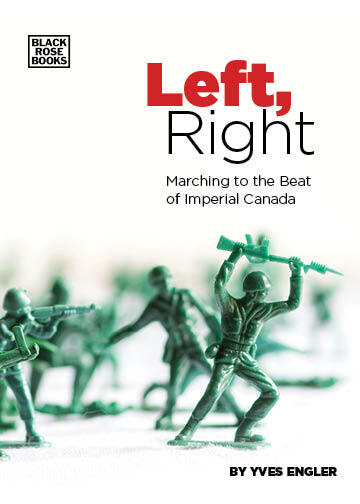 It’s hard to imagine that Garrison, who represents a base community, is NDP defence critic and Vice-Chair of the Standing Committee on National Defence, wouldn’t be influenced by Canadianmilitarists’ pro-Israel disposition. It’s also unsurprising that he portrays his pro-Israel campaigning as “gay friendly” to progressives rather than as militaristic or imperialistic. But if he really wants to be supported by progressive people Garrison should heed the call by 200 well-known musicians, academics, trade unionists and NDP members to withdraw from the Canada-Israel Interparliamentary Group. And if hecontinues to refuse progressives in Victoria should confront him.